- Date: 03/2014, Seed: $300 k (post valuation: $3300000). Startup Next, a Techstars program, is the #1 startup pre-acceleration program in the world. personalRN was one of eight teams selected to participate in the 5 week program to prepare startups for accelerators and seed investment, by providing high quality mentorship and leveraging the Startup Next global network of investors, mentors and founders. Box joined forces with The Big C Competition by LIVESTRONG as an in-kind sponsor to offer the Box Collaboration Prize to the team out of 168 semi-finalist that best demonstrated strong cloud-based collaboration between researchers, patients, healthcare providers, social or case workers and family members. At a difficult emotional time for a patient, relevant literacy level specific information is invaluable for stress relief, education, and motivation. 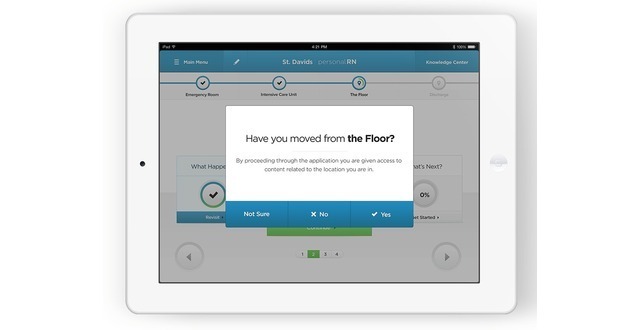 Using a user friendly and mobile interface will allow for compliance resulting in the ultimate goal of best possible outcome. 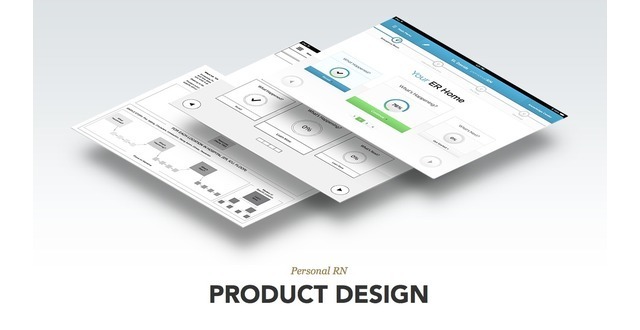 The beauty of PersonalRN is in its scalability. As a physician, I can appreciate how pRN uses technology to deliver education to stroke patients, but as a pediatric pulmonologist, I am especially excited to see how it can impact asthma education in our younger patients. In that particular population-where I see 3 year-olds trying to turn on the sink by swiping a finger across it-being tech savvy is the norm. And in these children where disease education is, essentially, boring; PersonalRN can change this expectation by providing an engaging and attractive platform for kids and teens to learn more about their health and well-being. As an neuro-rehab occupational therapist, physicians refer their patients to me upon discharge to home. Both the stroke survivor and family members are completely overwhelmed and confused with all the information and change that has taken place. 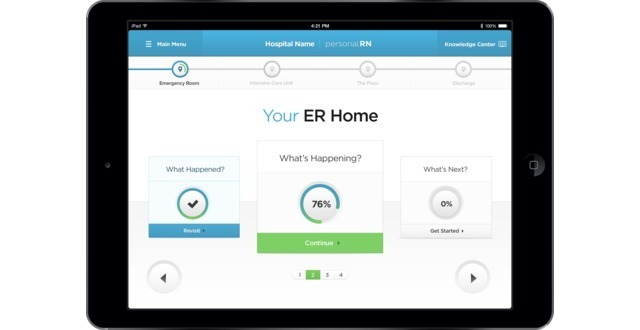 Educational and engagement tools like personalRN offer the capability to begin the management of care with the most important parts; knowing what happened, when it happened, how it will affect them and what they should consider. Information and communication is everything to rehabilitation and recovery. PersonalRN promotes the elements of the medical home and supports our therapeutic interventions to meaningful outcomes. Complete care coordination of stroke, from onset to recovery. Patients have heightened vulnerability when receiving a life-altering diagnosis. Changing care-settings, overwhelming handouts, limited language skills & health literacy act as comprehension barriers resulting in frustrated & ill-informed patients. 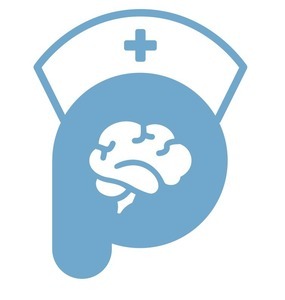 pRN starts at admission to provide personalized education relevant throughout the continuum of care. 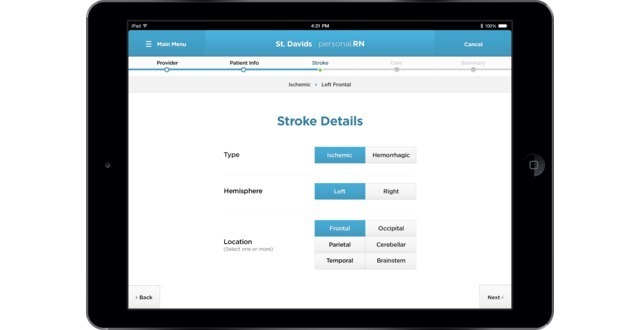 StrokeApp is a HIPAA-compliant, patient-facing iPad application to provide stroke-specific information based on the patient's type, location & severity of stroke. 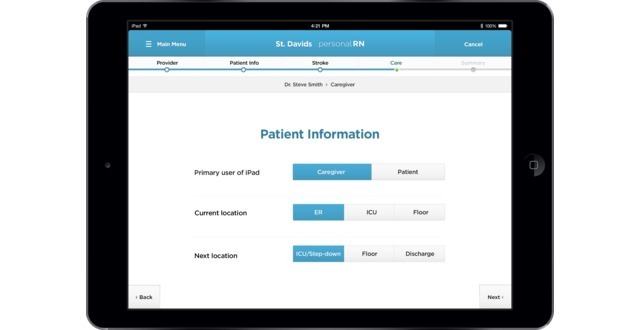 The novel & patent-pending features of the pRN template include 1) customized content generated by patient-specific data that 2) require provider engagement and re-engagement from admission to discharge, as well as the following outpatient settings.The Health System Enterprise StrokeApp requires a licensed provider to enter the necessary clinical information (<90sec) onto a tablet pre-loaded with StrokeApp, which provides relevant content to address common questions and challenges associated the type of stroke the patient has been diagnosed with. StrokeApp leverages the inpatient environment to provide need-to-know information for the appropriate period of hospitalization with content that is individualized to the user's health literacy, preparedness, and pace. StrokeApp is designed to be a health coach, or a personal RN, that begins at admission and remains accessible to a patient or caregiver throughout the length of hospitalization. As education becomes enhanced, patients and caregivers are empowered to have a compelling dialogue with their providers and vice versa, promoting engagement and better self-management with more compliance, informed decisions, and better outcomes. Similar to Rosetta Stone's innovative approach in teaching different languages, personalRN will help patients and loved ones become fluent in the language of their disease. Dr. Parsapour has 15+ years of clinical experience, along with an academic & entrepreneurial background in digital health. He obtained his MBA after his first startup Telepeds was acquired by Specialists on Call within 1y of its inception. I am a professor of neurology. I research new methods to repair the brain and to improve the outcome of patients. I am very interested in translating these efforts into maximum impact on society. Retired PWC Technology Partner, - 15+ years of experience including: IT strategy, creating business driven product road maps, effective system architectures, designing and implementing efficient database structures. Despite attempts to coordinate inpatient education & discharge planning, stroke survivors remain ill-informed & noncompliant which result in rehospitalizations soon after discharge. These “bounce-backs” account for $17.4B of Medicare’s $43B annually expense to treat patients readmitted within 30 days of discharge. Ineffective inpatient education plays a major role in preventable readmissions which are mainly due to medication errors, non-compliance, or being unaware of additional resources. The Affordable Care Act’s mandate to reduce avoidable readmissions has resulted in denied reimbursement for rehospitalizations and Medicare’s penalty program levies heavy fines against hospitals with excessive readmissions. Therefore, the immediate market for the pRN platform is hospitals and health systems, which are actively pursuing innovative solutions that would alleviate the Medicare-imposed penalties associated with readmissions. We are starting with stroke as the first diagnosis for proof-of-concept since stroke is a near-perfect model that can demonstrate the impact of effective education on readmissions. In fact, 90% of 30-day stroke readmissions are avoidable (higher than any other diagnosis) with better inpatient education & coordinated discharge planning during transitions in care. An immediate reduction of stroke readmissions is a metric that will lend further support to scale our proprietary platform to deliver relevant content specific for other diagnosis, such as heart disease, cancer, diabetes, etc. We've interacted with multiple Southern California hospitals through our pre-existing professional networks and have pending MOUs for these facilities to participate as beta sites. Participating hospitals and health systems will pay a monthly subscription fee, the pricing of which would be tiered to the annual volume of stroke patients. We have a strategic partnership with Verizon Wireless and support for our beta launch through discounted/subsidized bundled mobile packages which would include iPads, docking cradles, chargers, cases, data plans, insurance and technology support. In addition, Verizon has recommended pRN as a preferred partner to their regional third-party distributors, which would provide hospitals with monthly financing packages that would reduce "sticker-shock" and extend the length of the contract. In turn, pRN would receive an upfront payment for the duration of the contract from the distributors and not be subject to annual hospital purchase cycles. In addition, pRN would immediately realize full revenue with no cost incurred for billing and collections. Revenue would be utilized for hiring of an in-house development team that would provide for on-going iteration and allow our modular platform to be repurposed and scaled for additional diseases. The development team would also develop additional features or integrate previously developed API's that would monitor, track and enhance compliance with medication and/or outpatient appointments or rehabilitative services (i.e. : GPS tracking with push notifications, medication counters, videoconferencing, etc.). The robust pRN platform would allow the horizontal integration of case-management with risk-management, allowing health systems to quickly identify high-risk, non-compliant patients and better allocation of their limited resources to enhance care and reduce cost. Our immediate next steps are to initiate our beta launch in October of this year in 3-4 hospitals with initial emphasis on those that have been or are likely to be penalized because of high readmissions (historically serving high volume of Medicaid patients, teaching hospitals, or community hospitals). Upon price-point and readmission-rate reduction validation, subsequent efforts will focus on top-down sales to integrated health networks and third-party payers. Additional markets to be evaluated will include inpatient rehabilitation facilities, and sub-acute nursing facilities. Additional competitive advantages include early access to the patient and caregiver in their diagnosis and/or hospitalization that continues post-discharge. Given WebMD's recent acquisition of Avado (undisclosed, but reportedly $20-30mil) in order to enhance patient relationship management for healthcare providers, we believe that we are well positioned to further augment the educational offering of WebMD or similar patient-portals with our proprietary platform. Our platform has received immediate support from our current investors that are made up primarily of healthcare providers and executives, which contributed 85% of our $200K seed round within 5 weeks. In addition, we have developed strategic relationships to accelerate our go-to-market goals. Verizon Wireless (VZW) has been facilitating access for our hardware and connectivity issues, as well as facilitating introductions to their customers (hospitals) which utilize their communication solutions. Secondly, we have an MOU in place with the American Heart Association (AHA) and American Stroke Association (ASA) for co-marketing and use of the images and video files available in heart.org content library. In addition, our content has been reviewed and approved, which has validated us in the clinical community. Both VZW and AHA have committed to co-development relationships pending outcomes of our pilot study. Executive Director, California Telehealth Resource Center with 18 years of experience in the field of telehealth technology implementation, integration and sustainability. Managing Partner at TSSC Dubai, UAE. Studied International Business with a French Sequence at Illinois State University and I have a masters degree in International Business from UCD Michael Smurfit Graduate Business School in Dublin, Ireland. Pediatric Pulmonologist at Miller Children's Hospital and Health Sciences Clinical Professor at University of California, Irvine. NIH post-doctorate fellow researching impact of digital health on exercise. Loves a good glass of Highland Park 18. Occupational Therapist and Exercise Physiologist with an extensive clinical background in rehabilitation, and wellness. Innovator in rehab practice operations and management and emerging telehealth technologies and digital health tools. Seasoned Intellectual Property Attorney experienced in performing and supervising all aspects of patent, trademark and copyright matters in both private and in-house settings. Plastic surgeon in Los Angeles with offices in Beverly Hills and Torrance. 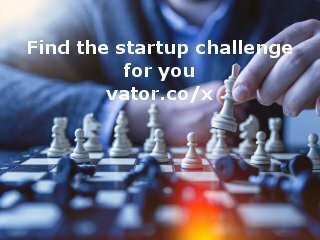 Investor in start up companies including several health care related companies. personalRN added a press mention.